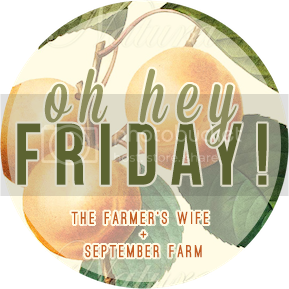 What makes Friday's even better? Pictures of cute animals. Duh. Instagram is quickly becoming my (and seemingly everyone else's) favorite social medium. I love that little square into everyone's perfectly posed lives. But to be honest, I'd rather look at animals than posed inanimate objects, outfits of the day and Starbucks-run selfies. 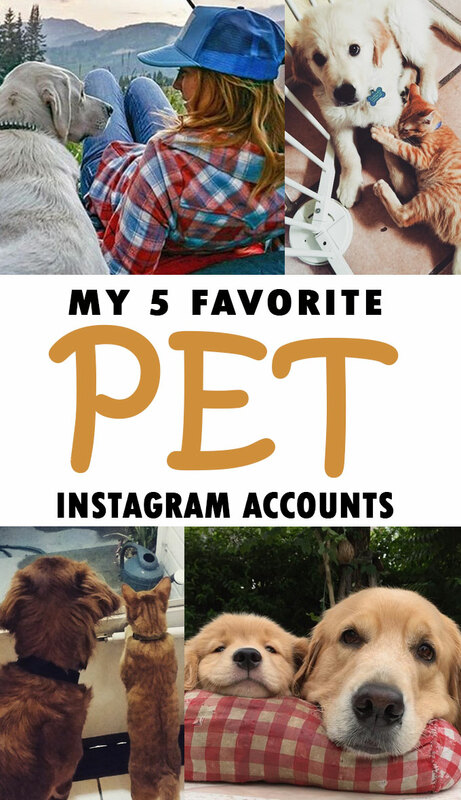 So, some of my very favorite Instagram accounts are of pets! 1 | Camping with Dogs This one is fairly self explanatory - exploring with your best friend. Is there anything better? What I like about this account is they share photos from all different 'grammers and their dogs. 2 | Calvin and Hobbes I'm a sucker for this account because it's an orange tabby kitty, golden retriever duo, just like my boys! This is a true to life account, nothing super "posed" just their pets' everyday play and happenings. 3 | Loki the Wolfdog An account for adventurer lovers. Loki is probably one of the most majestic dogs around (hello part wolf) and his wanderings are captured beautifully in this account. Some fun/goofy stuff too! 5 | Chewy It's no secret I'm a big fan of Chewy.com. Their instagram is no exception! Not only is there usually a daily dose of cute, they also give away pet supplies and re-post all the Chewy goodies delivery shots. 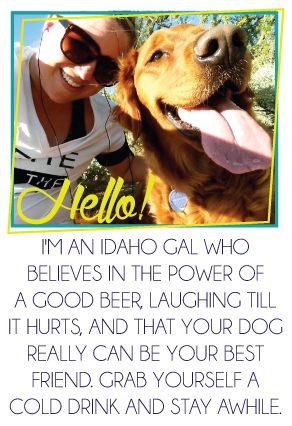 I guess I just love seeing happy pets! 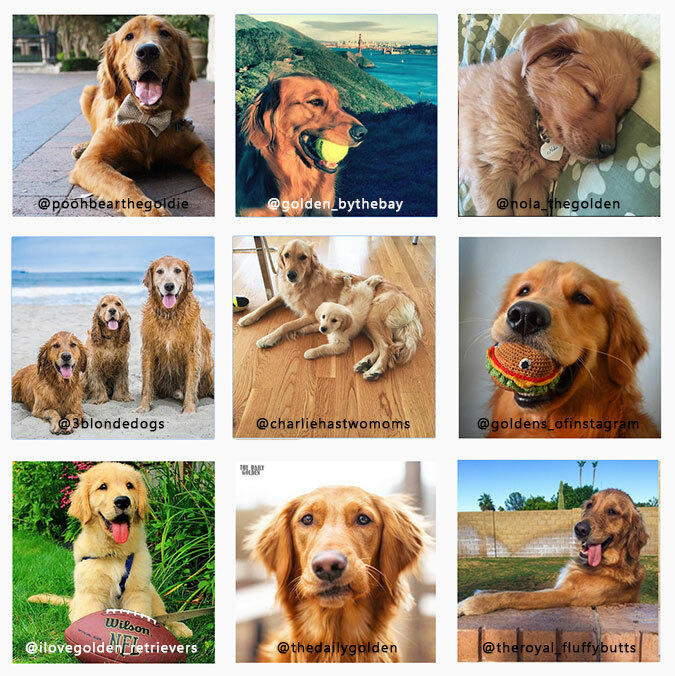 What pet Instagram accounts do you follow? I want more!!!! Yes! Thank you for this! I needed new puppy accounts to follow! So adorable! This is too much cute in one post! I love pet Instas! Thanks for the suggestions! love this post! so much cuteness! I'm following you now on insta. Awwww all these accounts are SO good! SO SO cute! So many cute pictures! Ahhh I love it! I also like Waiting Dogs (@waitingdogs I think, not sure though!). I don't think I follow any animal Insta accounts. I used to follow a unicorn named Herbert but he doesn't post anymore. I keep thinking I should start one for my dog... it'd be hilarious... him sleeping and begging for food all the time! These are super cute though! Chewy has some really funny videos every once in a while. I also follow Doug the Pug! Ahhh I need to follow more doggy pics on Insta! Cookie Cute, AHHH so darling! And LOVE Loki, he is gorgeous! Oh my gosh, how adorable. I need to follow these accounts! I love the camping one especially! I see more pet instagrams in my future. I already follow a few and end up sending my husband pictures of animals that aren't ours lol. Cuteness overload! The Calvin & Hobbes one looks like one I need to check out! I follow most greyhound accounts because I'm totally sighthound biased (which I blame my greyhound for, he taught me these bad habits). We are @canIdecideanotherday. BUT my favorite acct is @anubis_the_greyt. The captions are hilarious.